Now, I’ve heard of digging around the back of your sofa to find spare change, but I’ve never heard of actually digging underneath it to get into the ground. For a start, I don’t even understand how you’d figure out to dig into your floor? 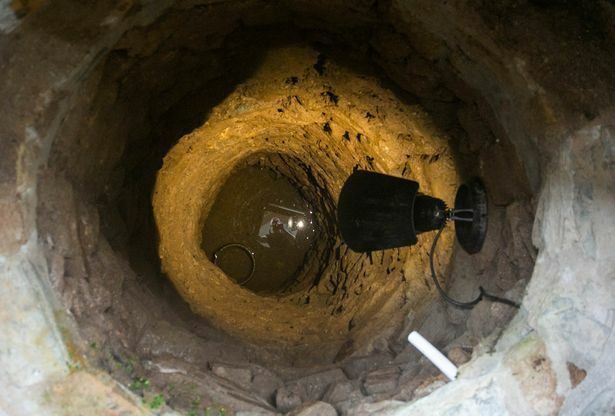 Well spare a thought for one pensioner in particular, who found a filled-in stone well under his. To top it off, he then hit water after digging down an impressive 17ft. 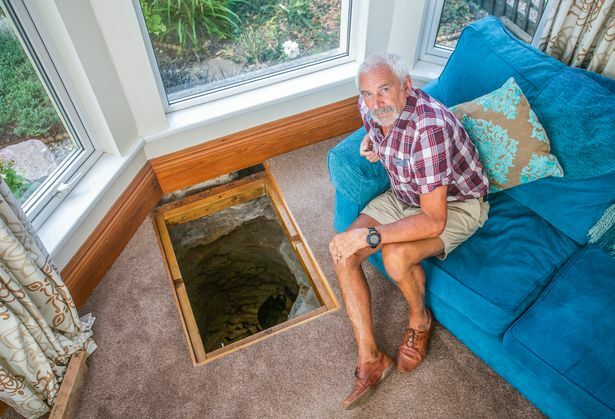 For Colin Steer, his digging escapade started when he spotted a dip close to his bay window when he, along with wife Vanessa, moved into the Victorian terraced home, more than three decades ago. 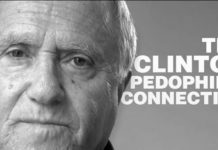 The married couple decided to cover it up as they had three small children at the time, but Colin’s curiosity got the better of him. He started investigating the problem back in 2011, once he’d retired from his job as a civil servant. 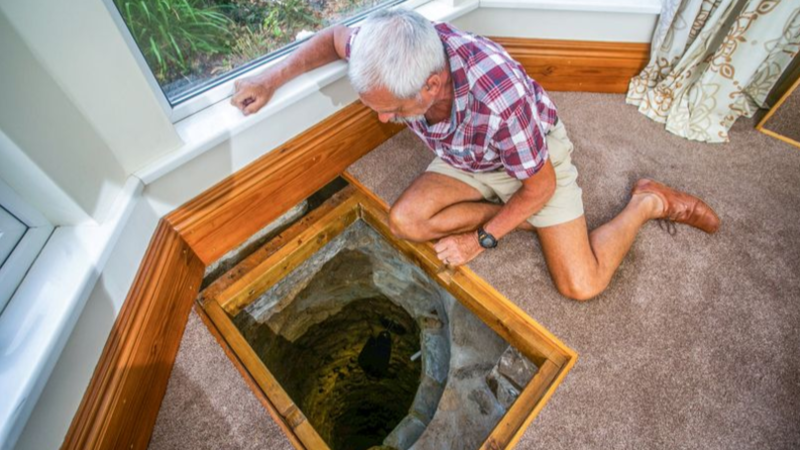 Colin, along with one of his neighbors, spent a total of six months excavating with a ladder and a bucket on a pulley. I always wanted to dig it out to see if I could find a pot of gold at the bottom. We think it’s a bottle well. It’s 30 inches wide now and could go down another five or six feet. We have no idea when it was built. There could have been a couple of cottages here or it could have served a farm. I thought I’d found a sword around 4ft down. It was a wooden thing that must have had a leather sheath on it as you can see stitch holes. That’s why I want to get to the bottom. Who knows what’s down there? I would like to find something to give me an age. However, for Colin, and wife Vanessa, this hasn’t been their only discovery at home. Back in 2012, when Colin was doing some building work in the back garden, he unearthed two German incendiary bombs, simply digging with his shovel. Concerned about what he’d found, he decided to call in the experts. They came to the property, placed them in sand boxes, and took them away for safe detonation. Despite the peculiar finds, Colin has no plans to give up looking for other objects – and possibly some hidden treasures. I wish I had a TARDIS to go back in time and see what was here. I was quite surprised really, I would have preferred it to be in the garden where I could have got at it a little easier. Whatever floats your boat Colin – just be careful in case you come across anything else that could potentially cause you problems!